We are E&E, Ernst & Engbring – or E&E Kabeltechnik – and we are internationally active as a development partner and manufacturer of high-grade special cables for a wide range of applications such as automation, plant and machinery and medical technology. With 450 employees we operate two of the most modern cable plants in Europe, one in Oer-Erkenschwick and the other in Forst. We serve markets and customers all over the world and have been one of the most important cable manufacturers now for over 65 years. 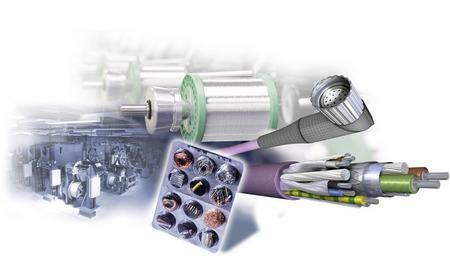 In our production facility in Kiev (Ukraine) we primarily manufacture assembled cable systems mainly for medical applications, complete cable connector solutions in the miniature range up to AWG 50, in the highest quality standard for the international market. Our production site near Shanghai produces in particular industrial cables in German quality for the local Asian market. What do we offer? Thanks to our know-how and our comprehensive knowledge of the market we can develop and manufacture our cable solutions exactly to your special application. We support you from Day One – from the planning and the prototype phase through the function and load tests in our own test laboratory and the project work, right up to the manufacturing and assembly phase of the individual special cables in accordance with your specific needs.